You Won! FoBP Solar Greenhouse Voted for Funding! Ray with Friends of Brook Park Summer Green Team visiting The Science Barge greenhouse in Yonkers by Hudson Groundwork. Security cameras and a greenhouse in public housing and laptops for public schools were among projects Bronxites voted to fund in an innovative city budgeting process. City Councilwoman Melissa Mark-Viverito and seven other council members let residents choose how to spend at least $1 million in discretionary funds, called participatory budgeting. Mark-Viverito represents District 8, which includes East Harlem, the upper West Side, and Mott Haven. The process got constituents in the two boroughs interested in each other’s concerns, Mark-Viverito said. His group won $300,000 to build a solar greenhouse in the Millbrook Houses. Last week Bronxites were among 1,770 District 8 constituents who chose up to five projects from among 21 possibilities. First place went to a plan to use $500,000 for installation of security cameras at the Millbrook Houses and three Manhattan complexes. Second place was $450,000 for new laptops for P.S. 369 Young Leaders School on E. 140th St. and eight Manhattan schools. A mobile cooking classroom, proposed by Sisterhood Mobilized for AIDS/HIV Research and Treatment (SMART) won voter approval for $180,000 . Now in its 17th successful year, this innovative event is an example of a sustained partnership between local and city-wide organizations and Friends of Brook Park of the South Bronx. With South Bronx Unite again this year! We will visit the site they had proposed to put Fresh Direct. 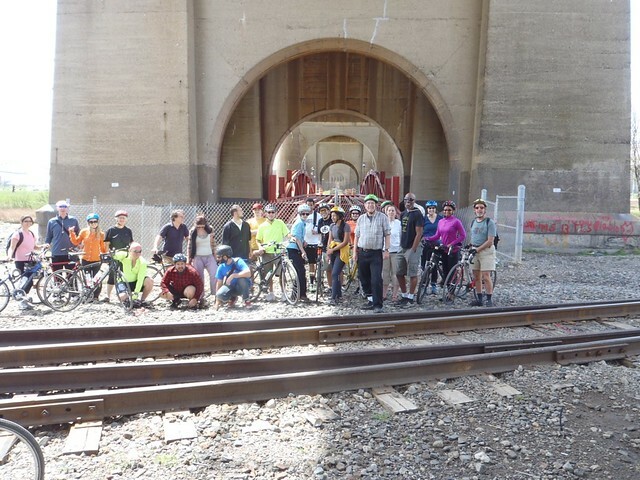 We will show where the South Bronx Greenway Randall’s ISland Conector IS STILL NOT COMPLETED. April 20th, 12:00 pm, Brook Park, E. 141st St & Brook Ave, South Bronx. This is really a trip on the wild side for a unique view of what is world-renowned as the “South Bronx.” A leisurely tour that includes beautiful natural wonders of the waterfront, community gardens and art, and historic places. See the fresh cherry blossoms! On this trip participants of all ages are made aware through actual site visits of polluting fossil fuel power plants and gargantuan waste transfer facilities that litter our rivers’ shores. Alternatives to the existing government policies are brought to everyone’s attention, with post-ride action steps including promoting demonstrations, letter writing, and email campaigns. Identifying a new bike path to Randall's Island many years ago and the Greenway is still not completed! Time’s Up! 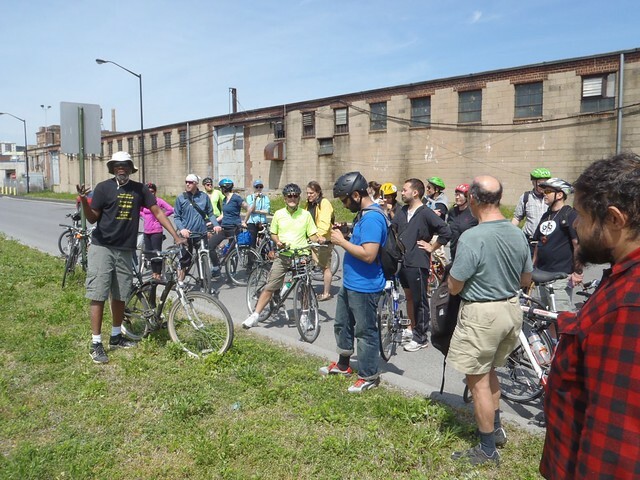 provided critical outreach and promotion for this ride and early support has led to significant growth in attendance as well as continued support and involvement with the important efforts of Friends of Brook Park by ride participants. FoBP offers a video for further information about local organizing campaigns against pollution and unjust land-use siting issues. Ride returns to the park. Email us to co-sponsor this fun event. Where the Greenway Connector should be completed by now.